On exciting gallery news ~ two big announcements from Gallery 1988. 1) it is time for gamer inspired art again with “i am 8-bit” - seriously one of the best group shows every year. Opening is on April 17th. 2) they are opening a San Francisco gallery! Grand opening with “The Indie: an art show celebrating alternative press artists” - including some of our long time favorites like Jason Sho Green. Opening is on April 21st. While i can’t personally make the LA opening this year (if someone is going, want to cover it and take some pics for us?) ~ Shade Elaine and i will be at the SF opening for sure, so feel free to let us know if you’ll be there! Designer Joey Ruiter hails from Michigan, and he’s recently designed some pretty sleek aluminum objects like the boat pictured above, called the Front Runner, with twin 225hp motors in the front. Check out more of his elegant/futuristic designs after the jump! Sub Urban Riot ~ i’ve fallen for this Extinct shirt ~ silhouettes of dinosaurs forming a skull and cross bones ~ and black and white. Also the egg of birds and the baby of mammals… more images below of their adorable dresses and site. I’ll admit it: I’m a sucker for skincare products. I’m an even bigger sucker for skincare products with simple yet thoughtful packaging. Bonus points if the product is natural. 4mula pretty much takes the cake. Their products are environmentally friendly on many levels, and they’re all about “Farms. Not Pharms.” On 04/04/07 4mula turned three years old, and they are celebrating by offering free shipping on orders of $100 or more in the month of April. International orders get a free gift. 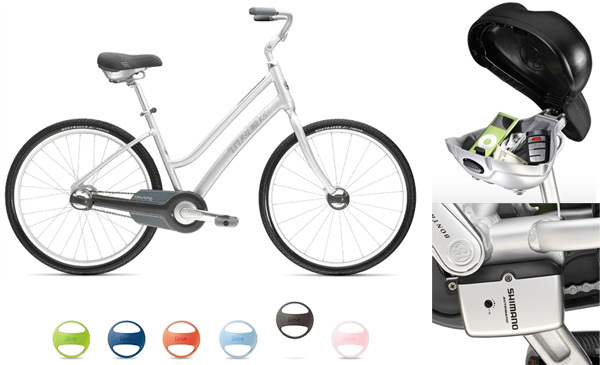 A company this environmentally aware and design-conscious deserves many happy birthdays. Here at NOTCOT, a picture is worth more than any words could ever say ~ and following that perfectly, i got a mysterious email from Moriceau Mrzyk with a subject line saying “we love notcot!” and no body, just 4 images… 4 images that i can’t stop staring at… breathtakingly playful and black and white, pushing the way you view frames and murals and sculpture, see more below. I can only guess this email is from the dynamic duo Petra Mrzyk & Jean-Francois Moriceau which we posted about previously here… Anyhow, i felt the need to share these while they were still mysterious to me before i wrote back to find out more. Easter Sunday is around the corner, and there have been so many delicious treats popping up on TasteSpotting, here’s a nice little roundup for anyone short on ideas… click each image to find out more. 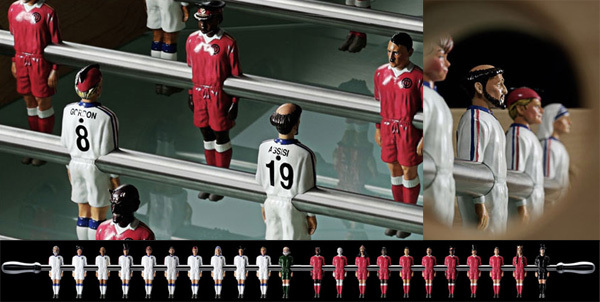 When it becomes good versus evil ~ which side of the foosball table are YOU on? On the team of Evil XI we have: Pot, Lucifer, Calgula, Ripper (as in Jack), Impaler (as in Vlad the), Hitler, Macbeth (as in Lady), Hyde, Klebb (as in Rosa), Amin, Catcher (as in the Child). Playing for Good XI we have: Claus (as in Santa), More (as in Sir Thomas), Moore (as in Bobby), Gordon (as in Flash), Robin (as in Christopher), God, Assisi, Jekyll, Poppins, Teresa, M.K. Gandhi. Ahhhh Chipotle, how we love thee. Yes, we have a bit of a Chipotle addiction going over at NOTCOT… we jest that there is crack in the rice (don’t worry, to the best of our knowledge there isn’t, just some sugar and cilantro) because since the college days in SD we keep coming back for more… even if it is efficiently run by the mcdonalds folks… Not to mention they have just great graphic design, and playful marketing. So, you’ll understand that i couldn’t resist when i saw Andrew Wilson’s Chipotle Menu Art gallery, and had to share it. Found this at Evasee, which calls the works “innocently nasty”. Freshly launched today for xbox 360 ~ Guitar Hero II has been my between work distraction of the day ~ its far too fun “strumming” to possum kingdom between posts… just discovered one of the gorgeous ad spots over on Stash Media’s Feed. “Pete Candeland, the Passion Pictures powerhouse director behind the Gorillaz videos does it again, this time for the Xbox 360’s Guitar Hero II. The agency is McCann Worldgroup out of San Francisco.” Its a really beautiful spot, view it here. In case you missed it ~ here are some highlights over at NOTCOT.org and TasteSpotting this week ~ click the images to see each post! 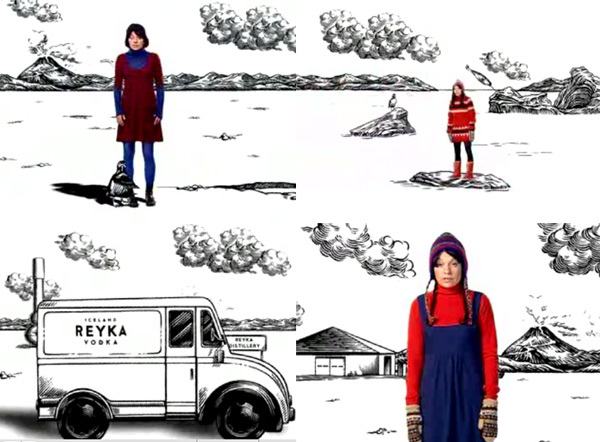 Reyka Vodka ~ from iceland ~ their ads on youtube have had me in stitches all morning (watch them all below). Her voice and outfit are ADORABLE… in a hilariously cute kind of way… and the black and white sketchy animated world she exists in is just brilliant. And her poignant arguments make me giggle too much this morning. So, while i can’t say anything about how good the vodka is, the ads certainly make me want to try some… gorgeous bottle as well. Check out their website here, its got some pretty woodblock style graphics.